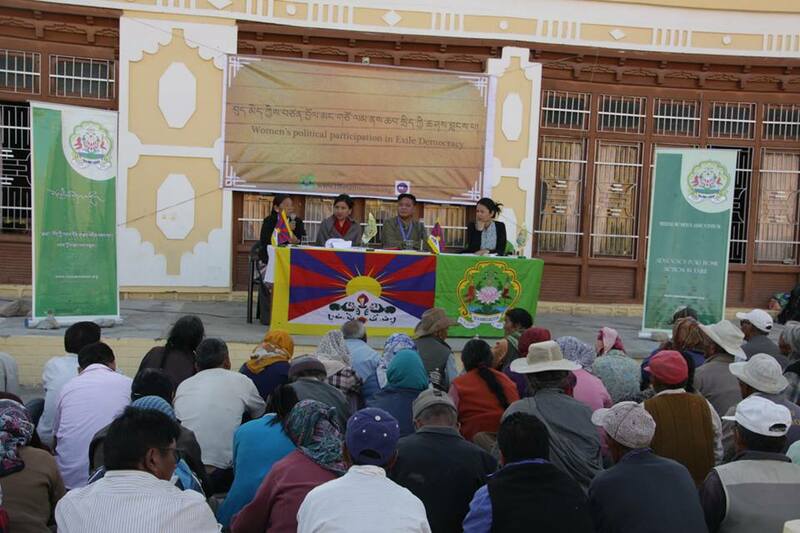 July 6th, 2014: At the 33rd Kalachakra in Ladakh, Tibetan Women’s Association is organizing three public events that will carry social, political and environmental projects targeting women, children, pilgrims from Tibet, and a cross-section of people. Today we wrapped up the first event successfully with three key speakers and around 260 people turned up for the panel discussion titled “Significance of Women’s Leadership in Democracy”. Our three speakers were Mr. Penpa Tsering, Speaker of the Tibetan Parliament in Exile, Ms. Tenzin Dhardon Sharling, Member of the Tibetan Parliament in Exile and Ms. Tenzin Palkyi, an Assistant Program Officer at the National Endowment for Democracy. Our first speaker Ms. Tenzin Dhardon Sharling spoke about the first ever mock election carried out in 2010 by Tibetan Women’s Association and how this project inspired other women’s group. She also pointed out that Tibetan democracy in exile provides a better meaning for women’s rights compare to many other democratic countries and hence every Tibetan woman should take the opportunity and empower themselves. Second speaker Ms. Tenzin Palkyi discussed about the importance of providing equal opportunity for both girl and boy to build their confidence from their own home. She said women should take more part in local groups in their own community and most importantly women in higher leadership position should guide and provide opportunities for younger women. 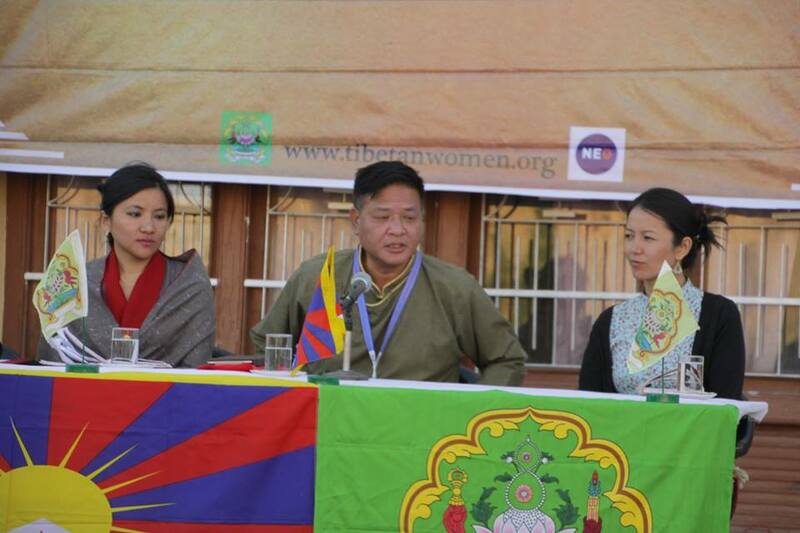 Third speaker Mr. Penpa Tsering said that there is lot of opportunities for women in Tibetan community and women should take these opportunities and be aware of their responsibilities. He also pointed that we must change people’s old way of thinking and empowers both men and women to see a better community. The panel discussion concluded with question and answer session which saw good number of interesting questions coming from the audience. 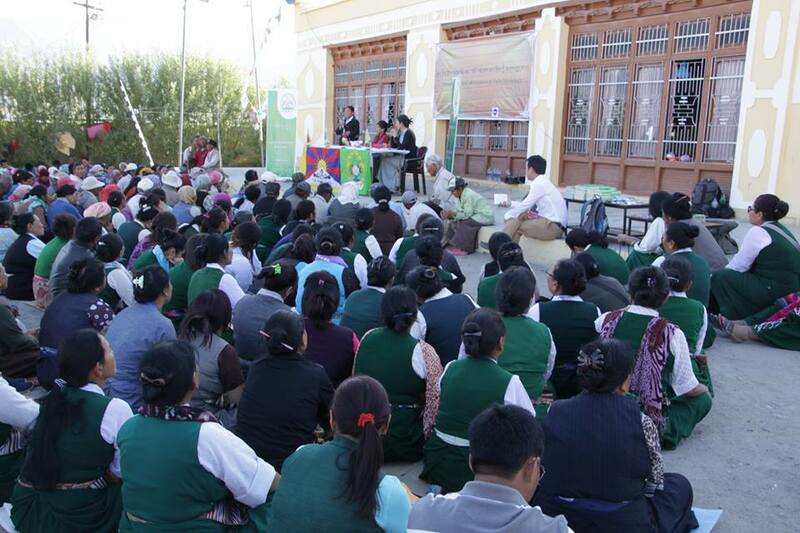 TWA believes such initiatives are vital in empowering and educating the Tibetan community; ultimately in strengthening the whole community.